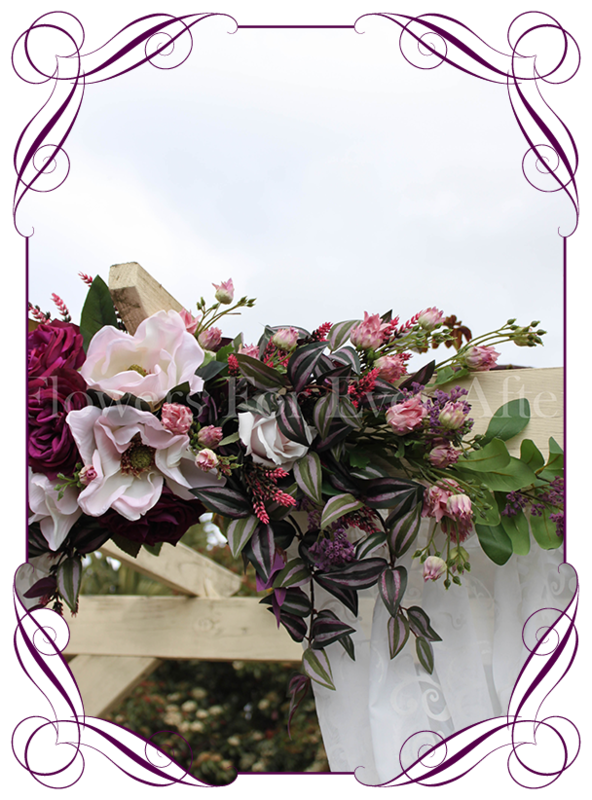 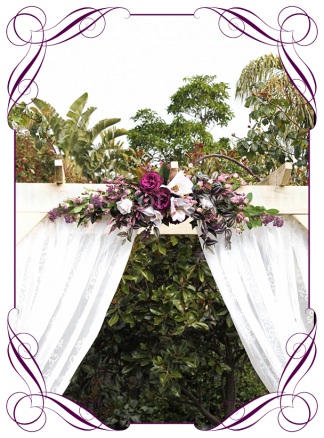 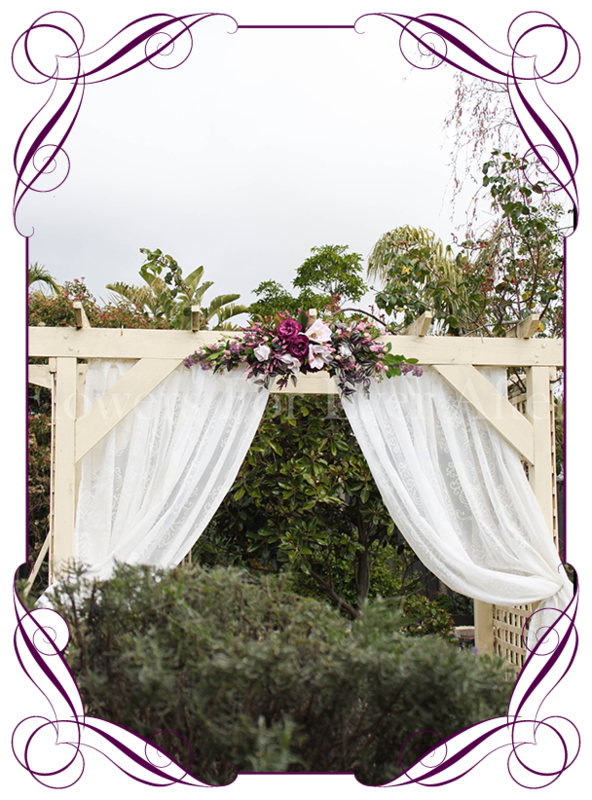 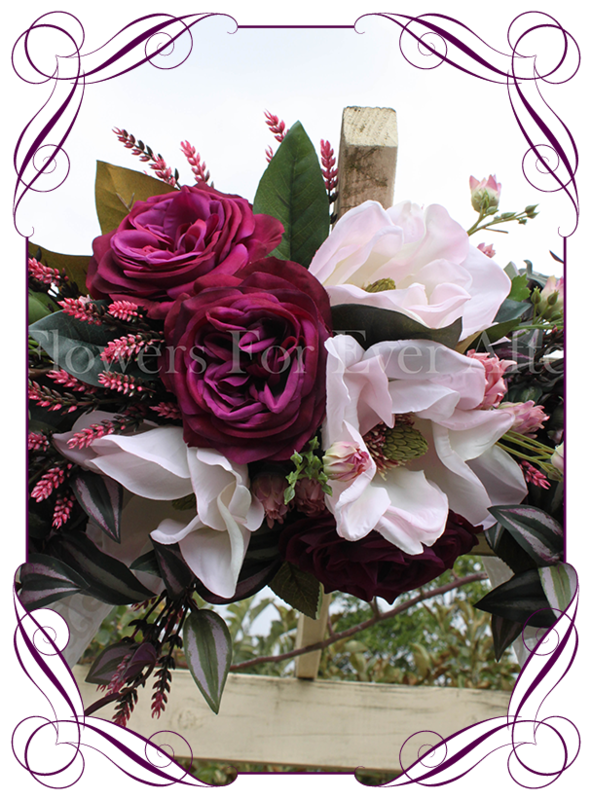 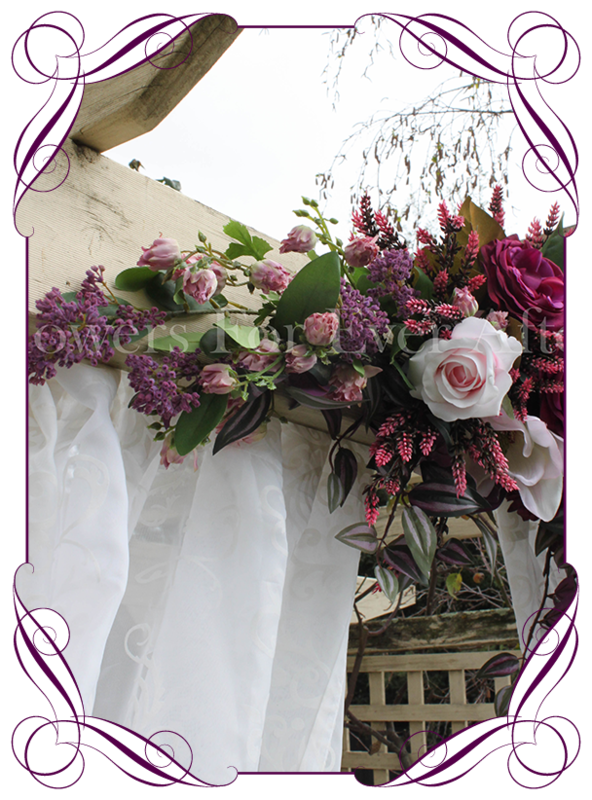 A gorgeous plum purple and pink arbor/table decoration. 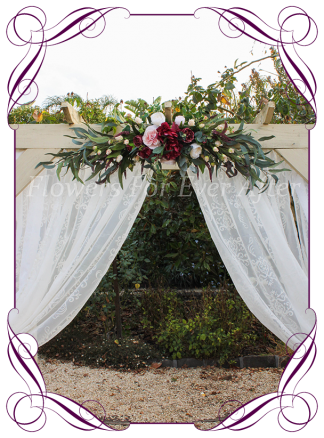 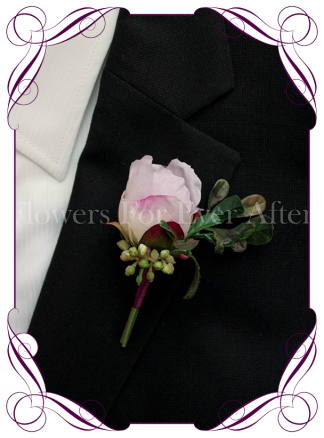 Features plum purple roses, dusty pink blushing bride protea, blush pink magnolia, pink wheat ear, purple skimmia, and wondering dew foliage. 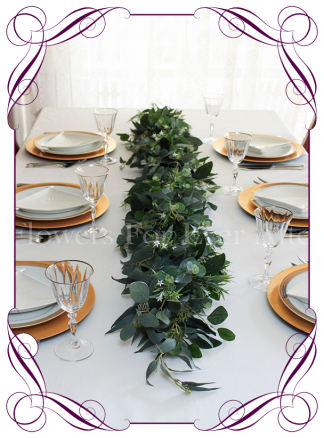 Measures approximately 115cm (45 inches) long and 26-28cm ( 11 inches) wide at the widest point. This arrangement can be removed from your arbor and placed in front of the bridal table as a table garland on the day also…a great way to minimize costs when decorating.